Little ones are going to love this sweet and cuddly teddy security blanket! 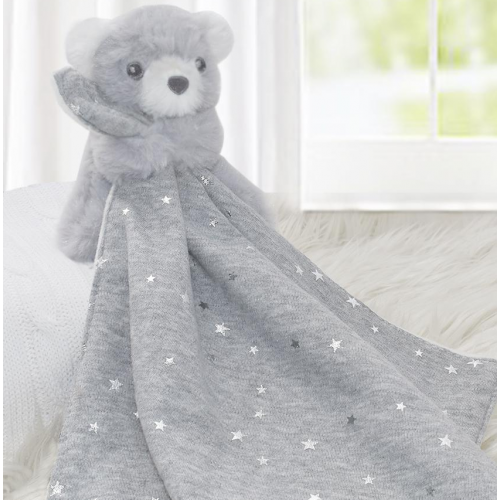 Featuring a soft velour blanket backed with 100% cotton jersey attached to this sweet teddy, it's sure to be a constant companion. Presented in a beautiful gift box with matching gift card.